Its a common wish for anyone to look fairer but most of us look dark when we exposed to sun. we should take care of our skin in order to look fairer,some of the home made remedies to look fairer quickly. 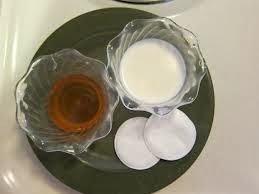 1)You can Prepare a face pack at home first of all take 1 spoon of milk with 1 teaspoon of honey. Make into a fine and apply it on the face with your finger tips gently. After 15 mins clean your face. 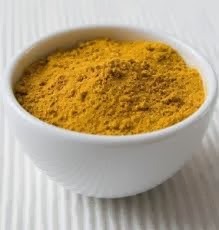 2)One of the effective home made remedy to have fair skin quickly is gram flour mixed with turmeric powder this natural product will helps a lot in maintaining your skin color.Use this when you go for bath. 3)Take 3 teaspoons of gram flour and mix it with few drops of milk and apply it on the face and allow it to dry completely and wash your face. 4)Fruits can help a lot in getting your skin tone fairer and also gives us naturally glowing skin. Prepare a fruit pack by combining the pulp of an avocado, papaya and cucumber. now add two teaspoons of cream to it mix it and apply it to the face. Note: Any one who wants to have a beautiful skin you take enough water and sufficient night sleep in order to have a healthy,healthy skin results in good look. you can also look at home remedies for clear skin. 5)Take equal amount of lemon juice and honey, mix it well and apply it on face and wash your face when it is fully dried.